Not all McGill research happens at McGill. 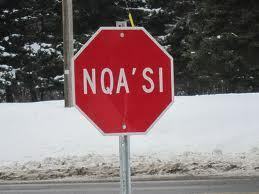 Since Fall 2011, the Listuguj Mi’gmaq community has been the site of the Mi’gmaq Research Partnership (MRP), a joint venture between the linguistics departments at McGill and Concordia and the Listuguj community. The project aims to bring linguists, their students, and Mi’gmaq community members together to develop a deeper understanding of the disappearing Mi’gmaq language.